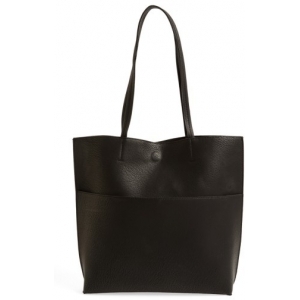 Slip the matching, tassel-tipped envelope clutch inside this buttery-soft faux-leather tote to keep your goods organized on the go. Brand: STREET LEVEL. Style Name:Street Level Faux Leather Tote &amp; Tassel Clutch. Style Number: 5457619. Available in stores.